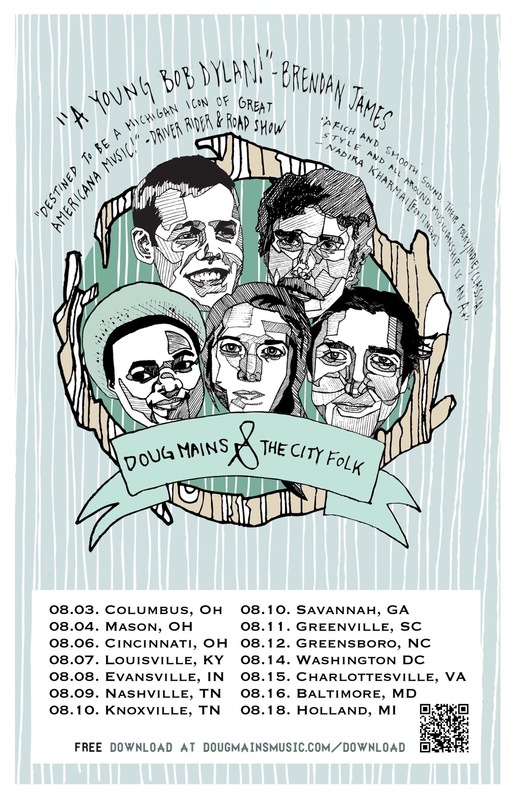 Doug Mains & The City Folk is one of those bands that I expect to see again. They’re just too good to forget about — and they’re way too good to vanish from the scene. 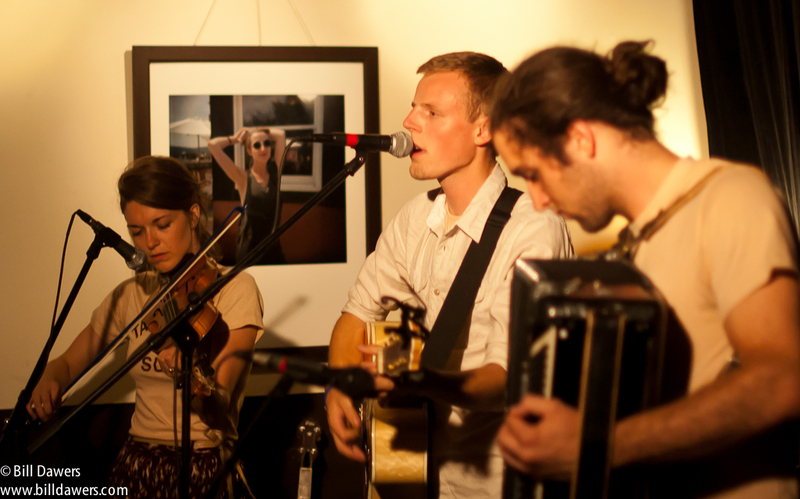 The Lansing band normally performs as a five-piece, but there are just three of them on the current tour — guitarist and singer Doug Mains, violinist and singer Kelly Pond, and Josh Michels, who plays accordion and cello. Mains’ lead vocals have a slightly Irish sound to me, and the lyrics have a maturity and depth — even the occasional mythic touch — that I wouldn’t expect from a band that often radiates such youthful joy on stage. I’m especially taken by the title track from the excellent album The Mountain’s King, which the trio played second in their set list on Friday, but there literally wasn’t a weak moment in the show. Click here for Doug Mains & The City Folk website. Click here for the group’s Facebook page. I’m embedding their recent album here from their Bandcamp page. And I took some pictures.